PCBs (Printed Circuit Boards) can be classified into rigid PCBs and flex PCBs and the former can be classified into three types: single-sided PCB, double-sided PCB and multi-layer PCB. According to quality class, PCBs can be classified into three quality classes: Class 1, Class 2 and Class 3 among which Class 3 features the highest requirement. Difference on flexible pcb board quality class leads to differences in terms of complexity and test and inspection method. Up to now, rigid double-sided PCBs and multi-layer PCBs account for the relatively large applications in electronic products and flex PCBs are sometimes applied in some circumstances. 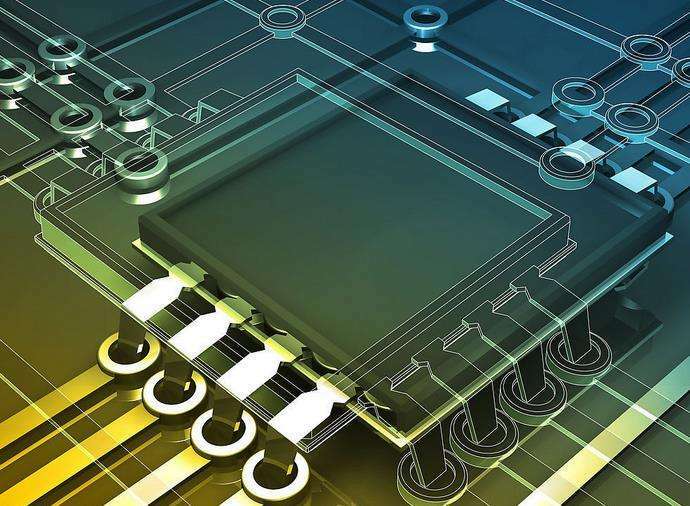 Therefore, quality inspection issues will be discussed focusing on rigid double-sided and multi-layer PCBs in this article. After PCB fabrication, inspection has to be carried out in order to determine whether the quality is compatible with design requirement. It can be put that quality inspection is the important insurance of product quality and smooth implementation of subsequent procedures. e. technological requirement labeled on PCB design drawings. For PCBs that have been determined as a key board in a device, besides regular inspections, those key characteristics parameters and indexes have to be focused and inspected from head to toe. a. Board thickness, surface roughness and warpage. b. Dimensions of appearance and assembly, especially assembly dimensions compatible with electric connectors and lead rail. c. Integrity and clearness of conductive patterns and existence of bridging short circuit, open circuit, burr or voids. d. Surface quality, existence of pit, scratch or pin holes on printing traces or pad. e. Positions of pad vias and other vias. It should be inspected that whether vias are missed or inaccurately punched, whether via diameter is compatible with design requirement or not and whether there are nodules and voids. f. Pad plating quality and extent of firmness, roughness, brightness and void of bulge defect. g. Coating quality. Whether plating flux is even and firm and position correct and whether flux is even and its color meets concerning requirement. h. Character quality such as whether they're firm, clear and clean with no scratch, penetration or disconnection. a. Connecting performance test. During this test, multimeter is generally applied to inspect the connectivity of conductive patterns with focus on metalized via of double-sided PCB and connectivity performance of multi-layer PCB. For this test, PCBCart provides general inspection before each fabricated PCB leaves its warehouse in order to ensure the implementation of its basic functions. b.Insulating performance test. This kind of test aims to inspect insulating resistor on the same plane or between different planes in order to ensure the insulating performance of PCB. General technological inspection covers solderability and plating adhesion inspection. For the former, wetting performance of solder to conductive patterns is inspected. For the latter, it can be inspected by qualified tips that are first sticked to plating plane to be inspected and then are pulled off quickly after even pressing. Next, plating plane should be observed to ensure whether fall-off takes place or not. Furthermore, some inspections can be selected based on practical situations such as copper foil anti-falling intensity and metalized via anti-pulling intensity. a. Metal plane of via wall should be complete, smooth and void of empty holes or nodules. b. Electrical performance inspection should be carried out in accordance with short circuit and open circuit of pad and metalized via plating plane, resistance between via and leads. c. Resistance change rate of vias shouldn't be over 5% to 10% after environmental test. d. Mechanical intensity refers to adhesive intensity between metalized via and pad. e. Metallographic analysis test is responsible for inspection in terms of plating plane quality, thickness and uniformity of plating plane, and adhesive intensity between plating plane and copper foil.